My husband is a confirmed carnivore. Normally, he eats vegetables because he has to, not because he wants to. So, this evening, he surprised me. I think it’s cute that when he saw 2 parsnips hugging each other, that he thought of me. I think perhaps he is the romantic one, not the parsnips. You two are so sweet!!!!!!!!! It’s amazing how the parsnips are intertwined. It was sweet of your husband to think of you. That would be a cool sculpture.. I think it would be cool too. What is interesting is that they grew together but they are not fused and able to be separated. It’s a nice metaphor for mutual interdependence. It sure is.. 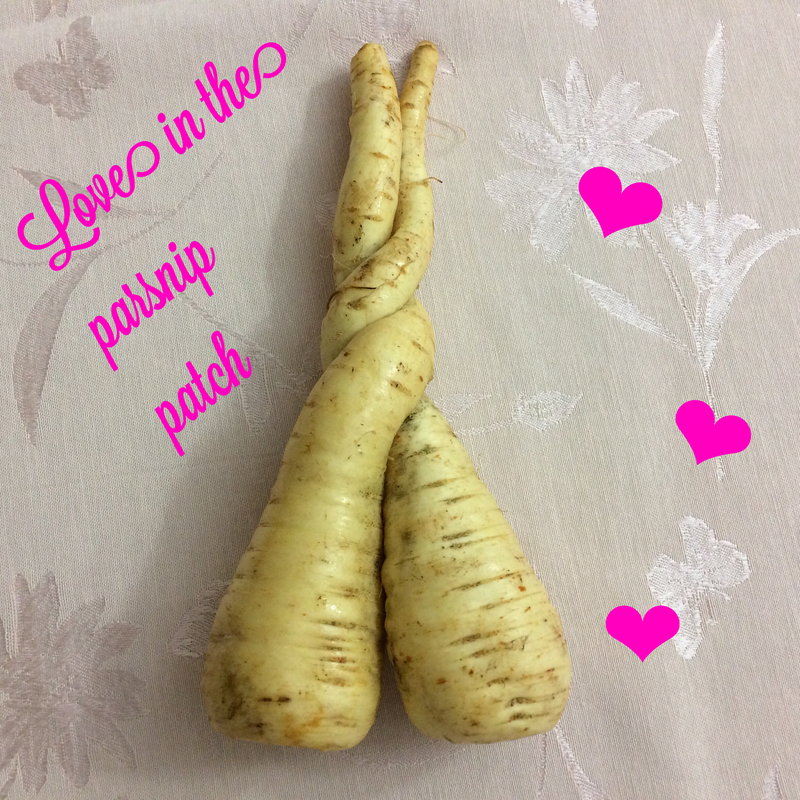 Marriage at its healthiest too, in my opinion..
Parsnip love at first sight! Oh wow, that is so sweet! Love it! How sweet. Hubby’s can be wonderful! Yes. It was funny. He never noticed anything like that before. I thought so too. I am cooking them now, and even though they are intertwined, they can be separated. I thought that was a nice metaphor.